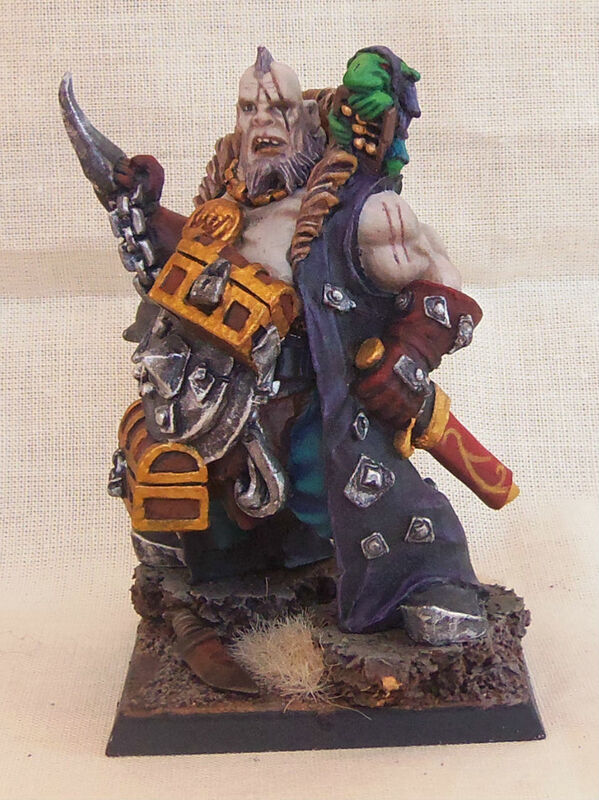 This model really felt to me like it was missing something when I finished painting it, but I think the base really brought it all together in the end. 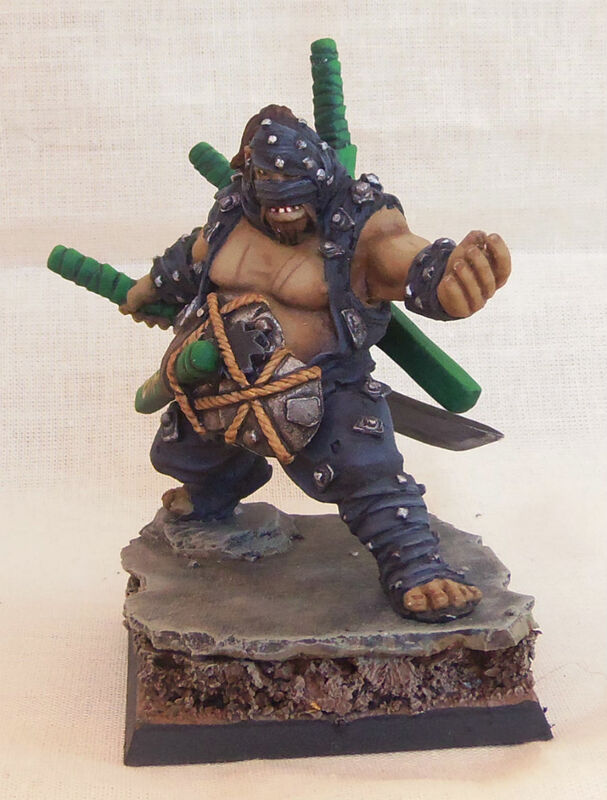 The last of the recently finished Ogres will be up tomorrow! 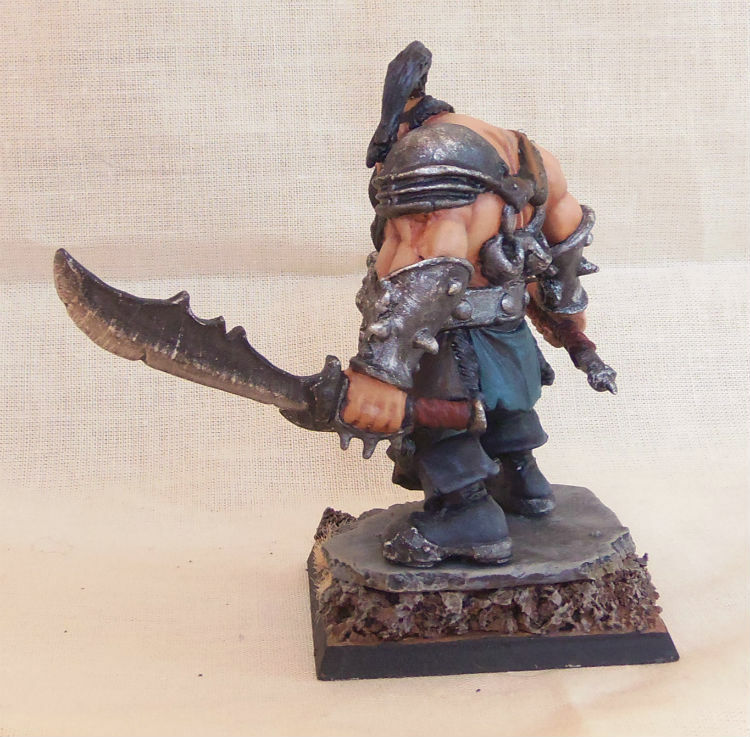 I actually really like this model despite it having one of the older sculpts and not nearly as many details as the other Maneaters. 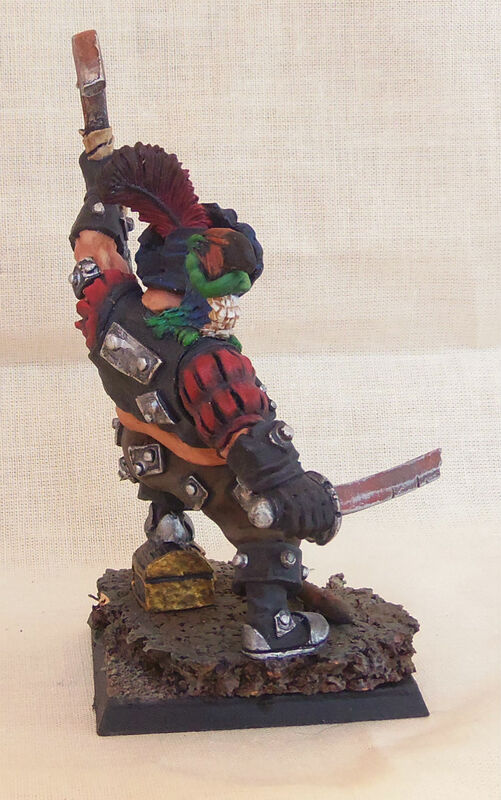 He actually has a gutplate, but it sticks SO far out that it just didn’t look right. 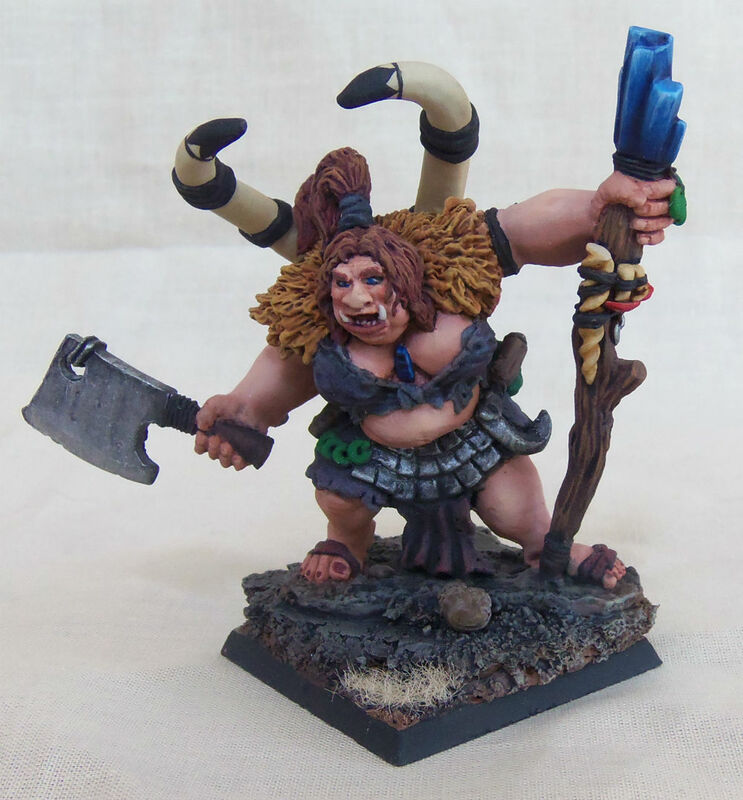 This model was painted with the Maneaters (and counts-as Maneaters) I’ve painted over the last few weeks for the same army. 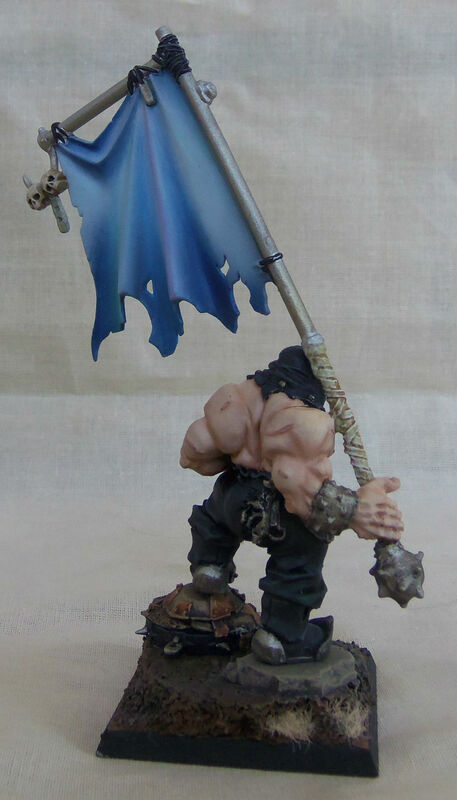 The banner tought me a lot about blending. 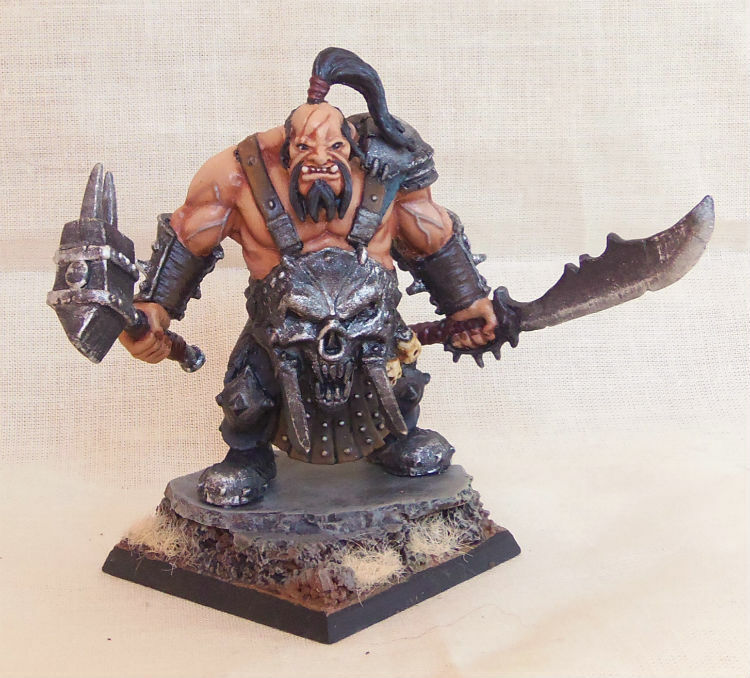 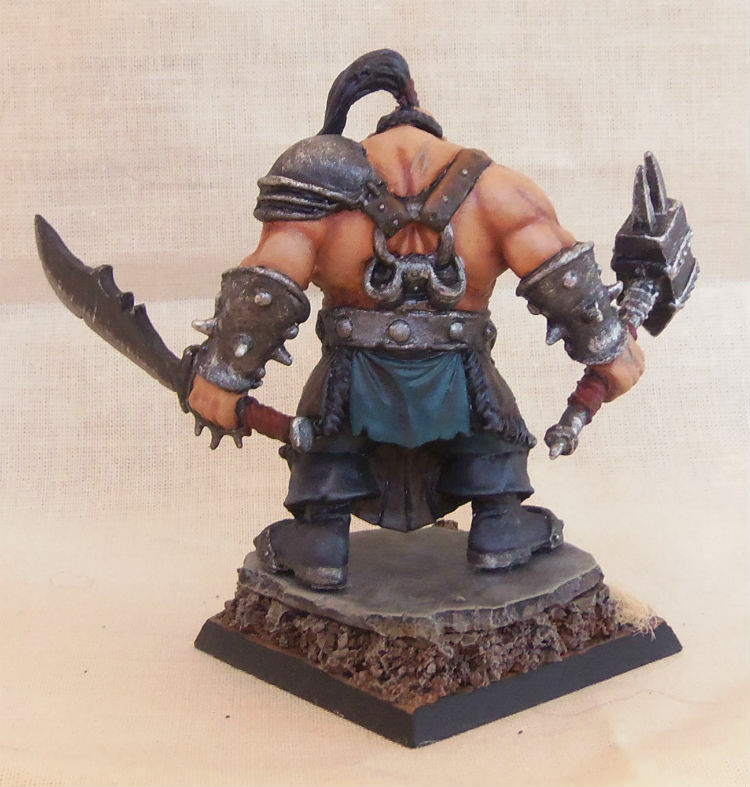 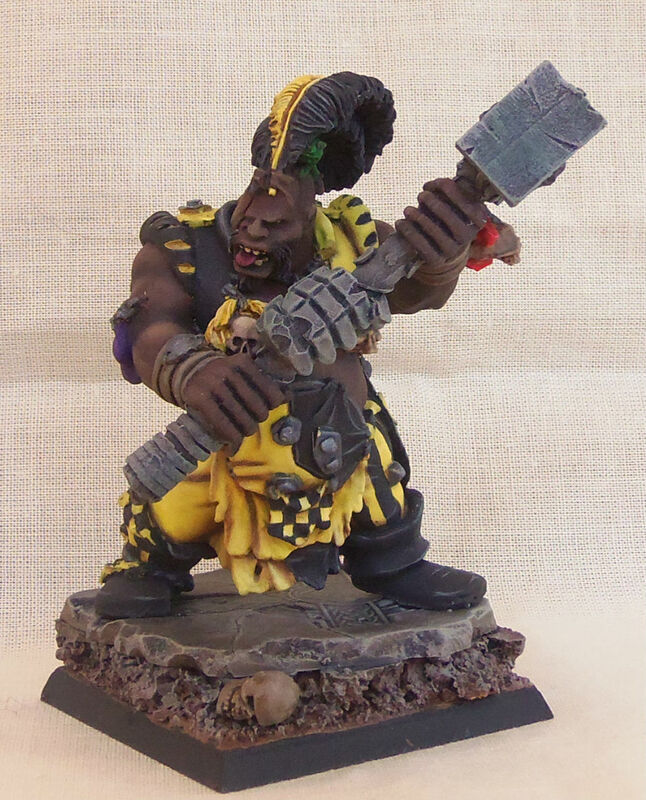 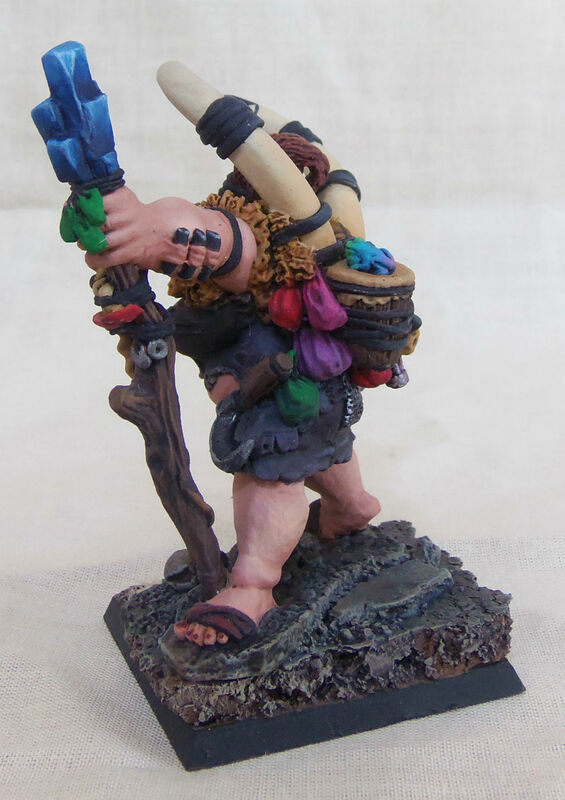 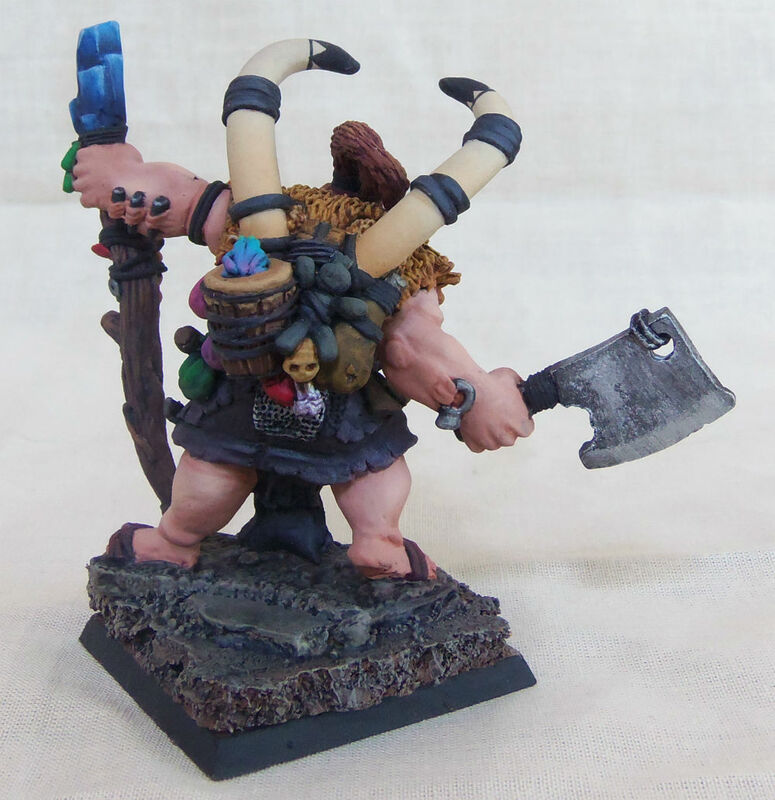 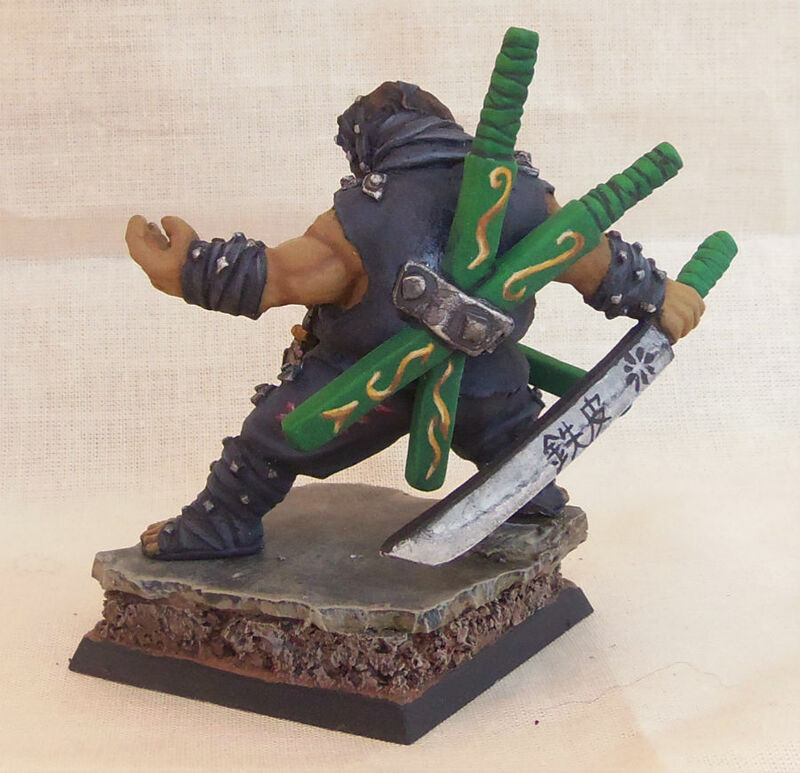 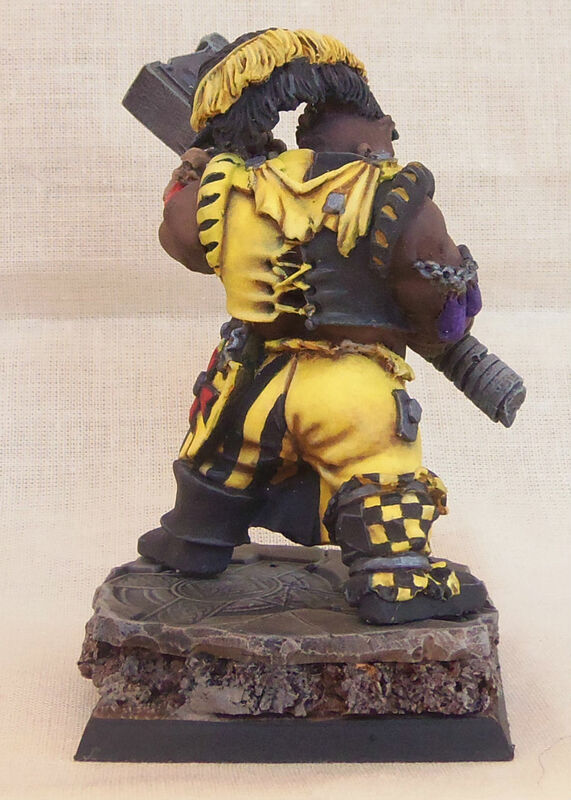 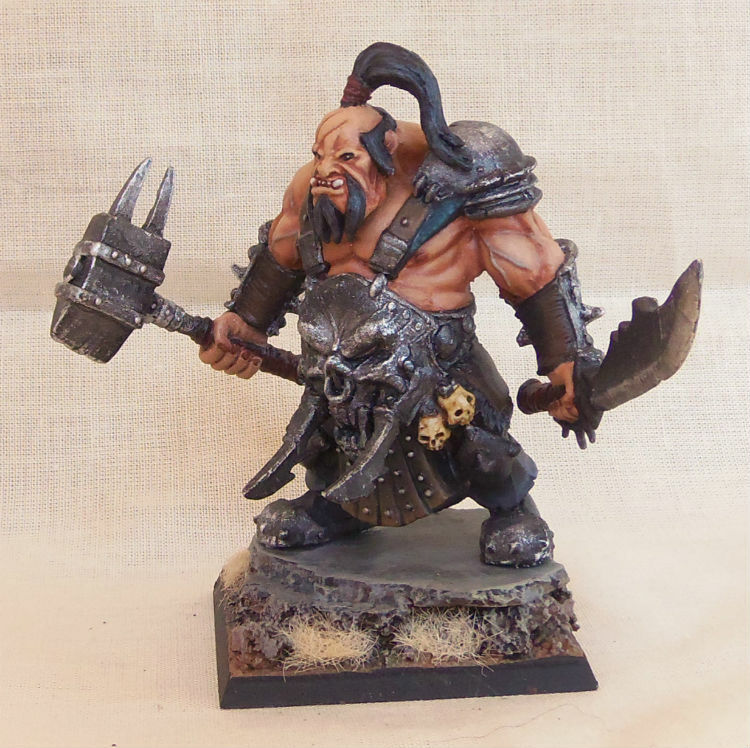 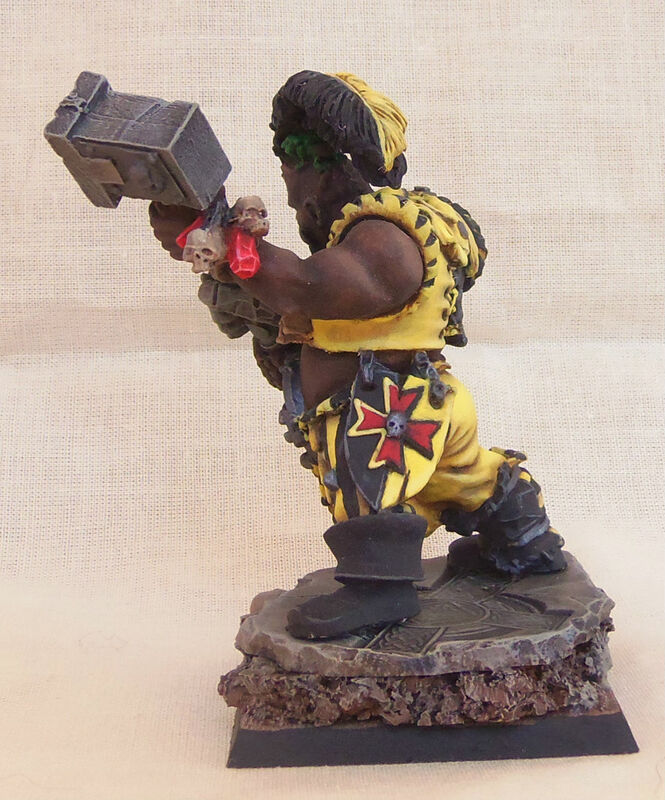 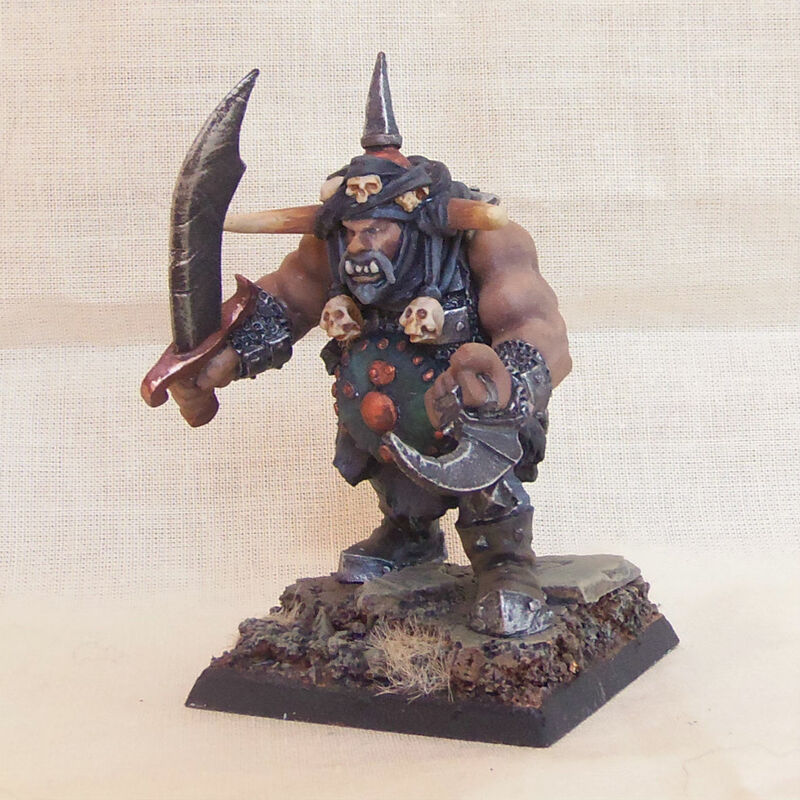 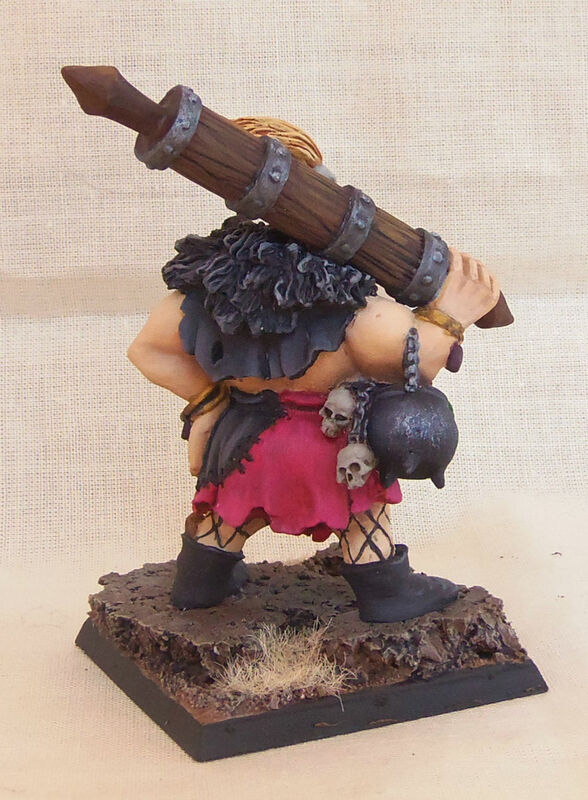 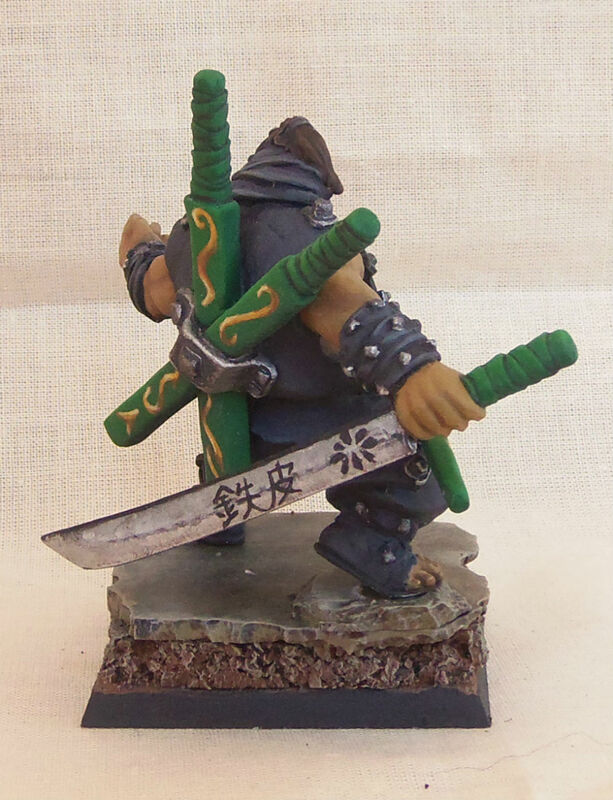 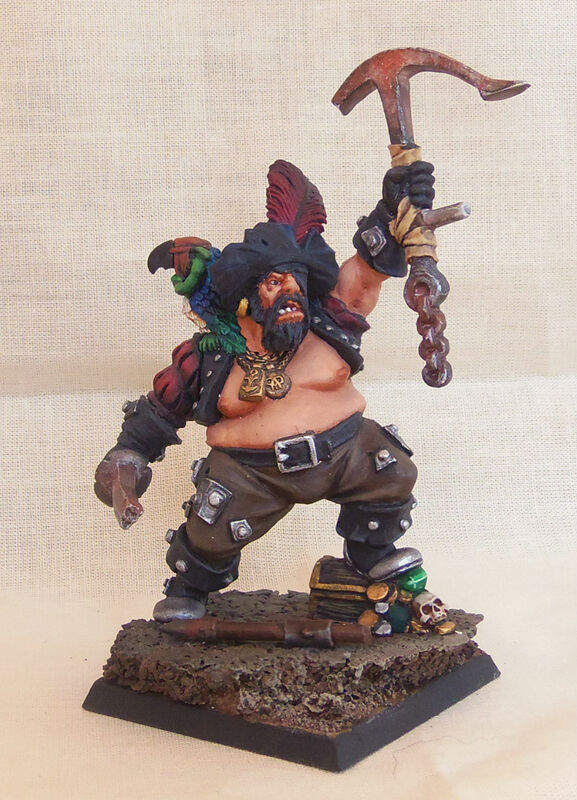 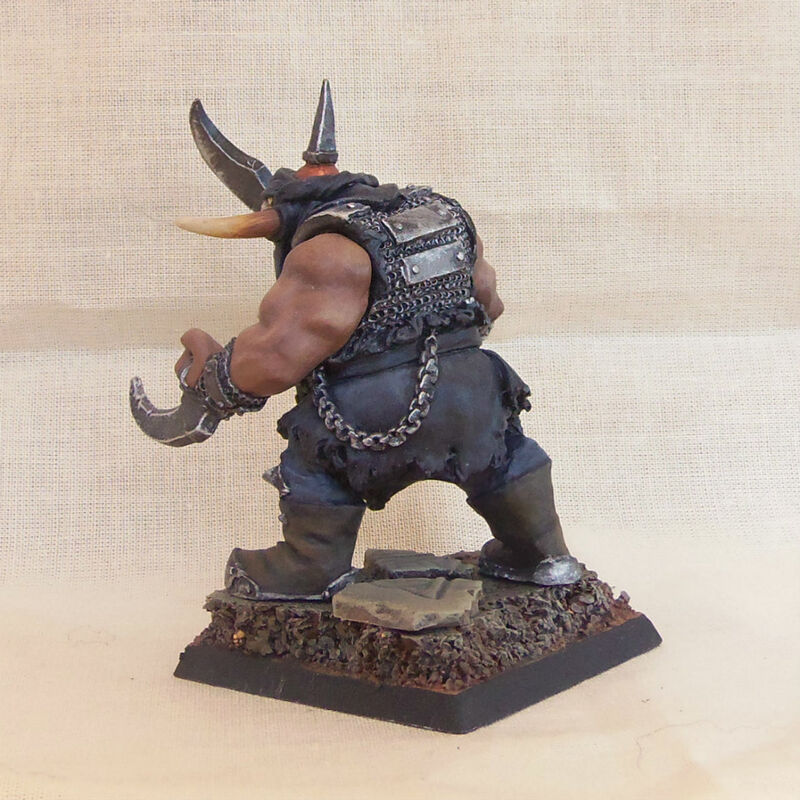 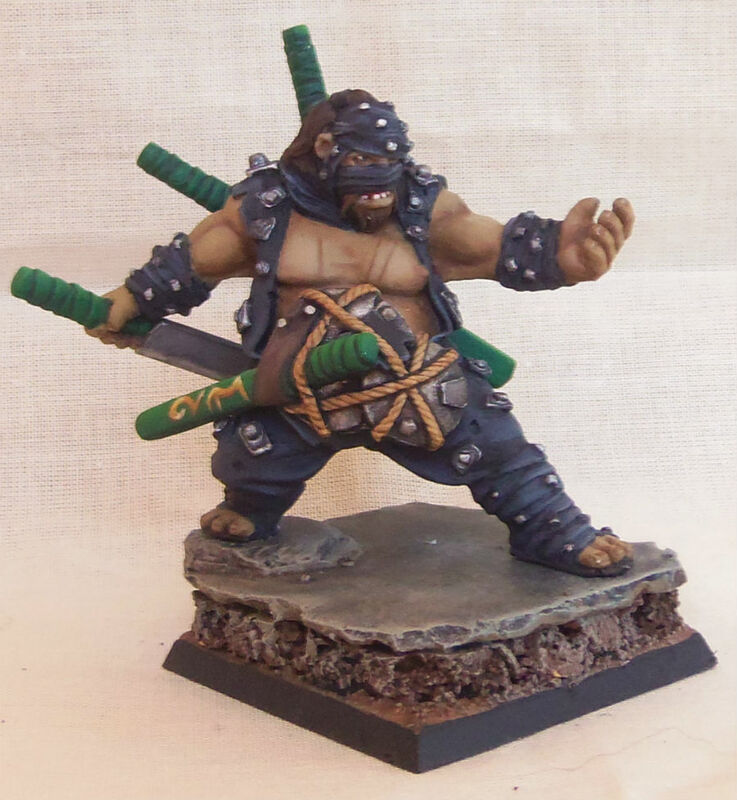 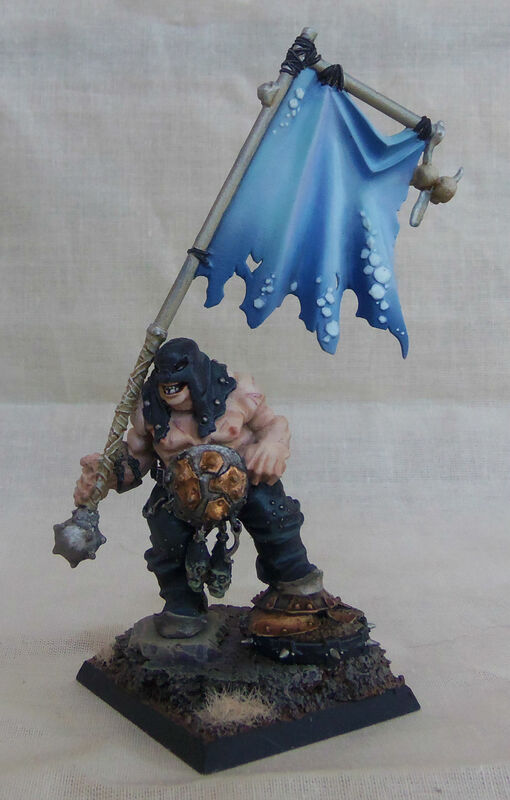 One of the better sculpted Ogres I’ve painted, although he didn’t fit together so nicely on his own. 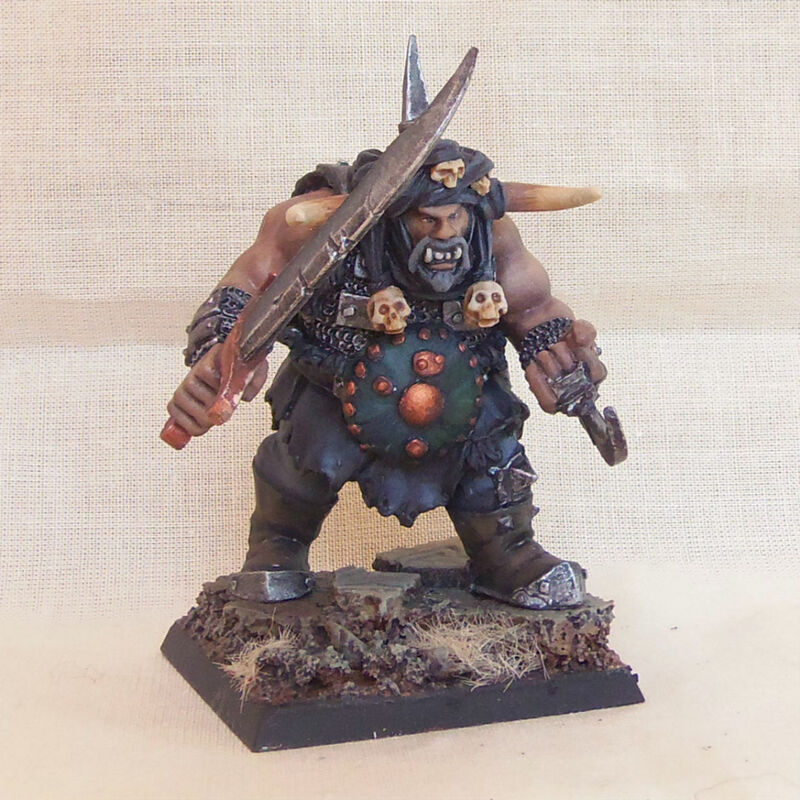 I really like the gutplate though. 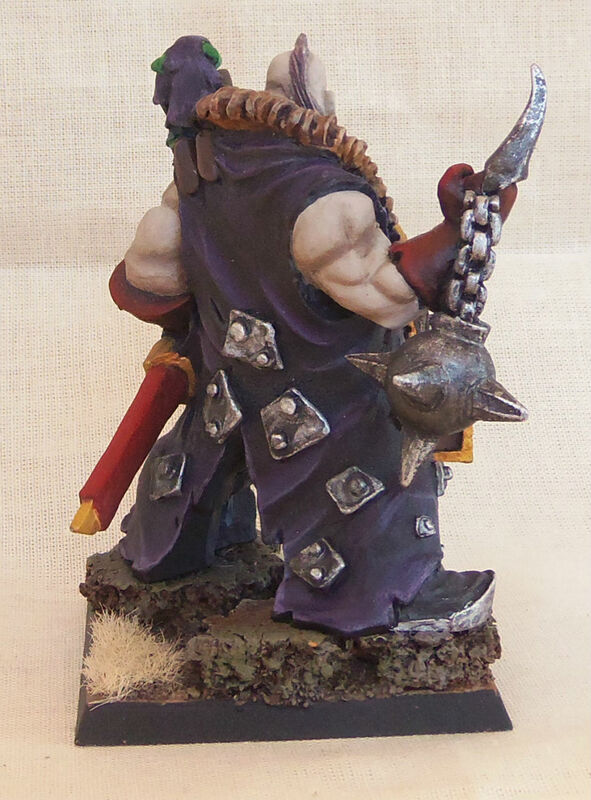 It was a lot of fun to paint, and I learned a new method for doing metallics on this model. 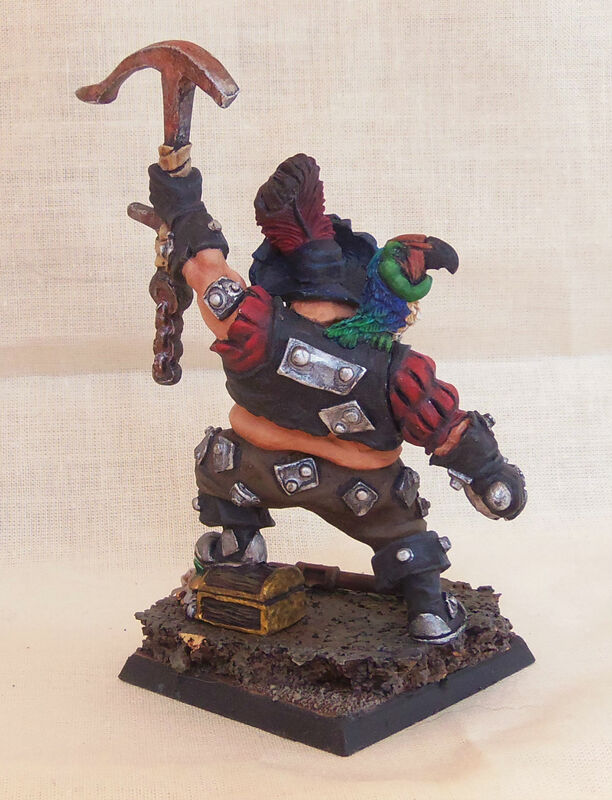 This guy is metal and SO heavy. 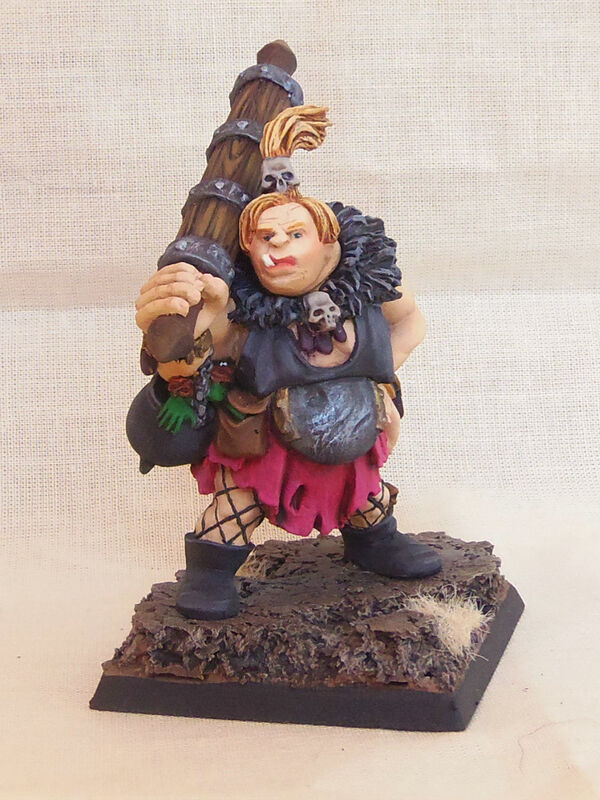 All of the Maneaters that I recently painted are, in fact. 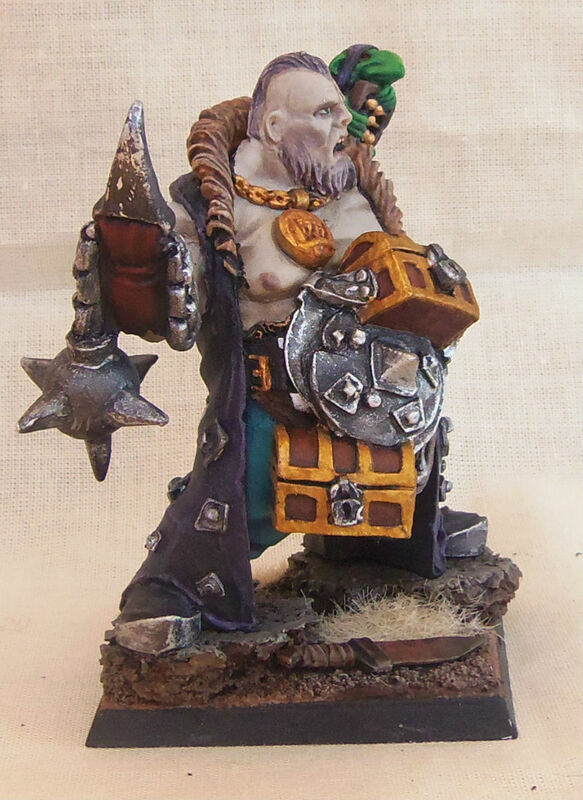 If this guy had been “Finecast” I’m sure I would have snapped that ball off a few times, that stuff is so fragile! 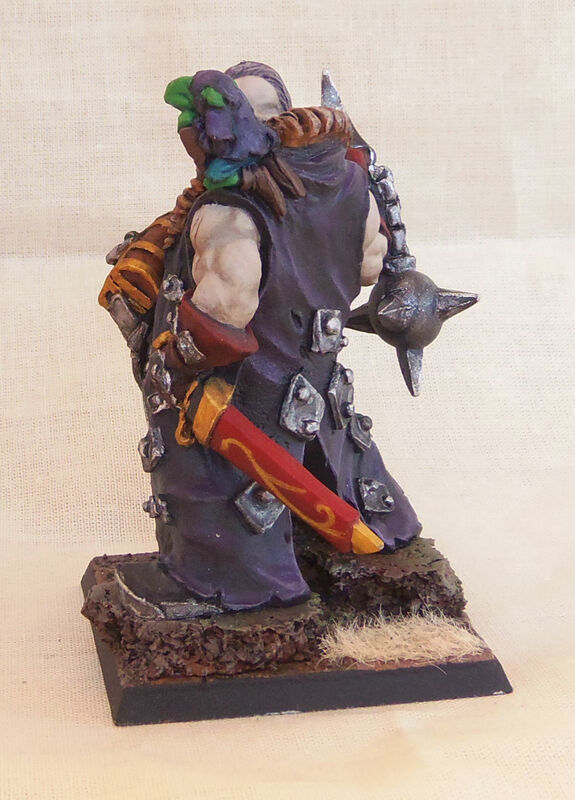 That is indeed a sideways-facing skull on her base, but apparently I didn’t catch it in any of the photos! 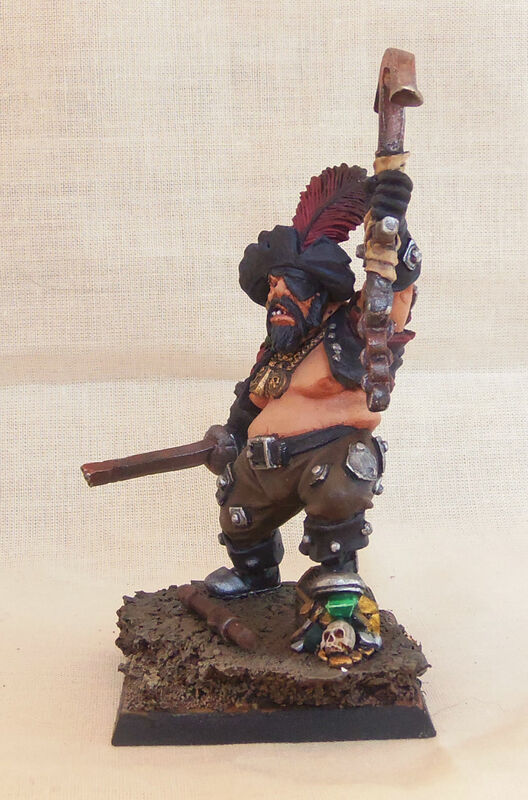 Finished pictures of the GW Imperial Maneater! 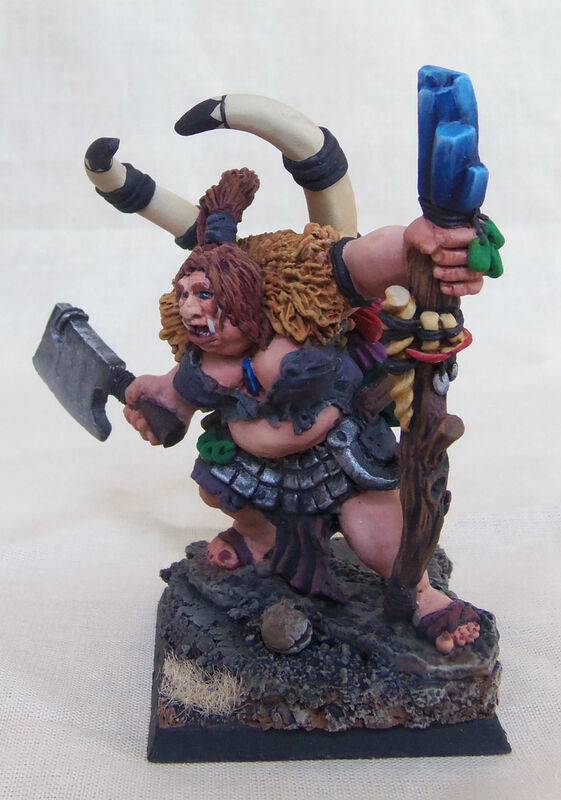 More Maneaters coming soon! 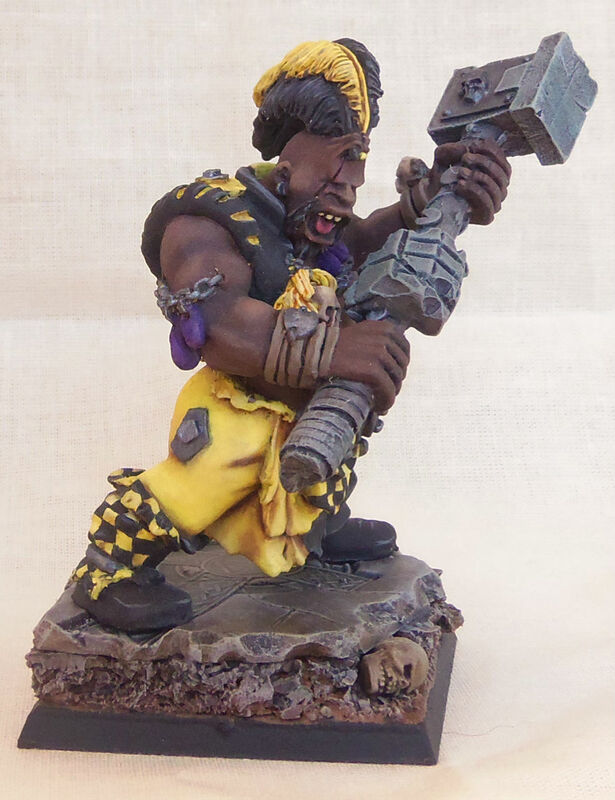 He’s got such a funny look on his face, I really wonder what it’s all about. 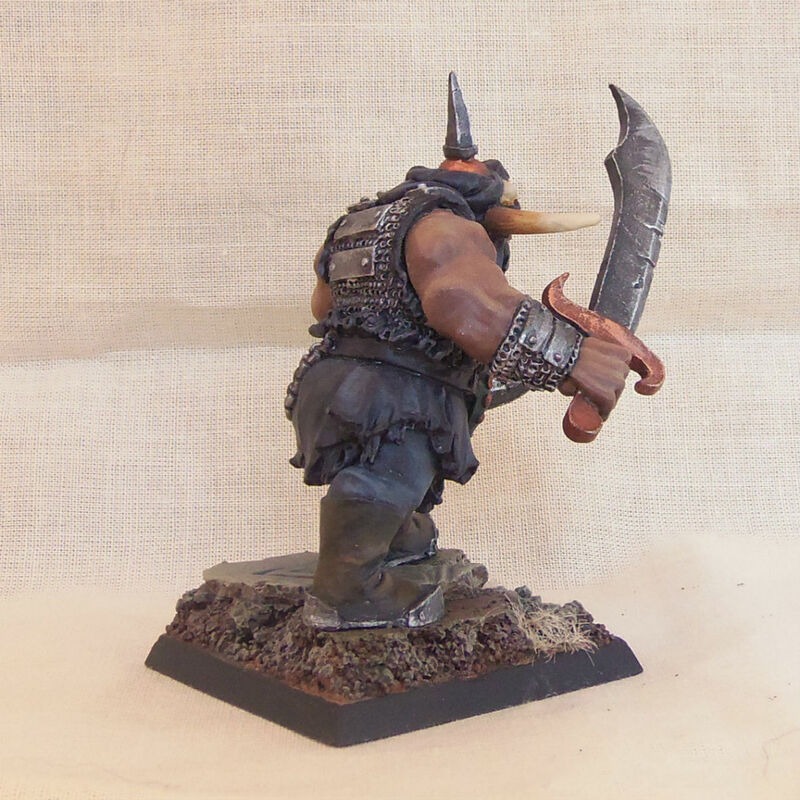 WIP: Bases for Ogre Maneaters cont. 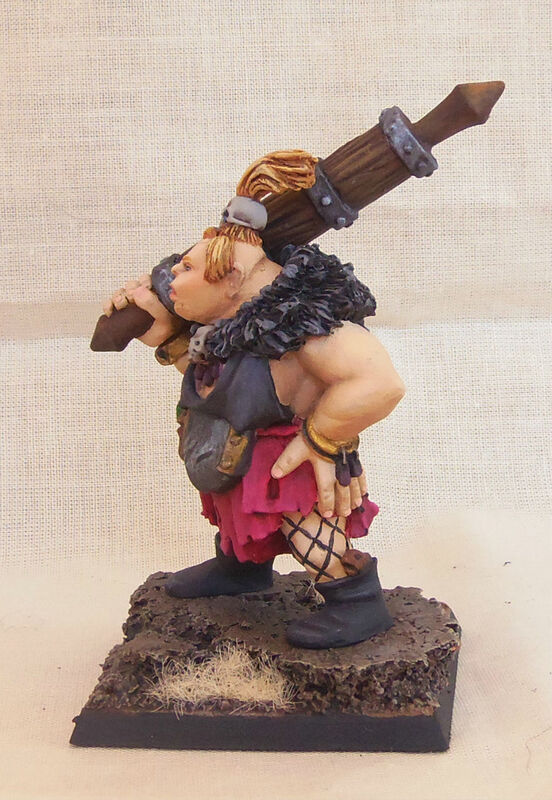 Before I post the finished pictures of the Maneaters I thought I’d put up the last set of finished cork/sculpey bases that they are on. 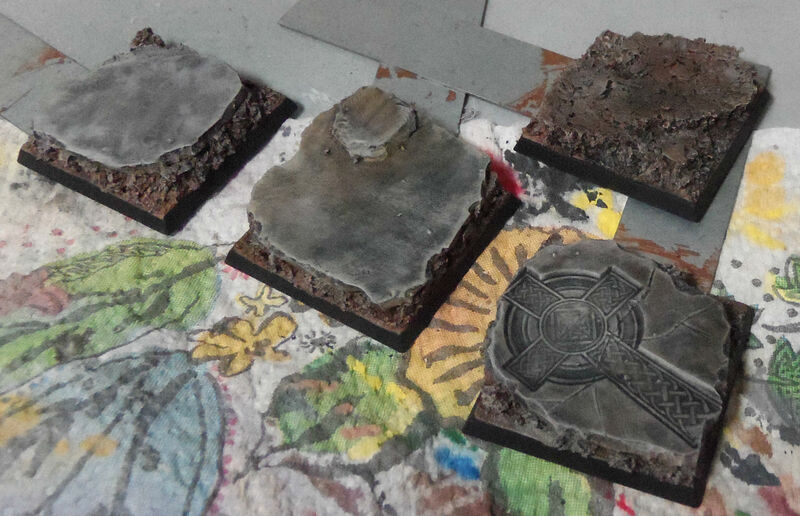 These bases were really fun and pretty simple, and I learned a lot in the process.